Chef Gerald Fernandez was born in Paris and is an ambassador of the unique heritage and flavors of French culinary and aesthetics. As a descendent of this rich heritage, his menus are full of this passion and love for food and life. Since 2012 Chef Gerald has been the culinary chef of Braaf Catering he leaves his personal touch on every dish. Together with operational chef Yaniv Oren, they run the complex work in the Braaf kitchen. As a young chef interning at the Michelin star restaurant of Chef Joel Robuchon, in Paris. He later acted as the Chef De Partie at the La Fouquet restaurant off Champs Elysees in Paris, in charge of the desserts. 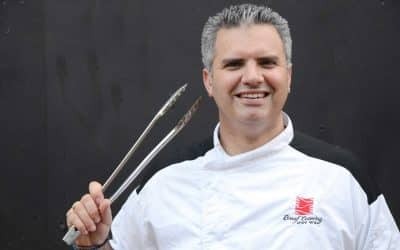 In 1995 he moved to Israel and worked as a chef in restaurants in Herzliya and Tel Aviv: Papagaio, Toscanos, Joya, Bistro Dizingoff 99 and Vashti. He owned his own business (2008-2010) Aperoni Fernandez Catering. In 2010 he went on a journey to Angola in Africa as a chef in the Funda restaurant. Chef Yaniv Oren is originally from Kibbutz Yehiam. He is married to Adi and the father of Omri and Shachar. He studied at the Tadmor Cooking School. He is the logistics chef at Braaf Catering, he runs the kitchen and the staff, logistics, working with suppliers, setting up events and managing chef at events. His love for good food was born amongst the pots of his Persian mother, known for her complex dishes. His addiction to chocolate developed in his many visits to the Elite factory where his father worked. These two sources of inspiration led him to the understanding that he was destined to be a chef. His studies at Tadmor gave him the professional tools to carry out his destiny. His desire to combine ingredients, cultures and tastes increased and developed. After completing his studies in 1995, he joined Braaf Catering. He continued to learn from the leading chefs of the "Xilt Holland" parent company. After returning to Israel, he was appointed head chef of Braaf Catering. In 2005 he studied at Thai Siam Kitchen School in Lemai Thailand. His philosophy: The desire to create, evolve and develop is embedded in man's spirit and the ability to fulfil this depends on each one of us. In my work at Braaf Catering I fulfil this desire of mine every day, creating the perfect event for every couple, family or organization, according to their dream. 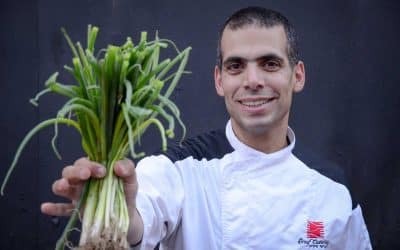 Chef Yaniv Oren is originally from Kibbutz Yehiam. He is married to Adi and the father of Omri and Shachar. He studied at the Tadmor Cooking School. He is the logistics chef at Braaf Catering, he runs the kitchen and the staff, logistics, working with suppliers, setting up events and managing chef at events. His love for good food was born amongst the pots of his Persian mother, known for her complex dishes. His addiction to chocolate developed in his many visits to the Elite factory where his father worked. These two sources of inspiration led him to the understanding that he was destined to be a chef. His studies at Tadmor gave him the professional tools to carry out his destiny. His desire to combine ingredients, cultures and tastes increased and developed. After completing his studies in 1995, he joined Braaf Catering. He continued to learn from the leading chefs of the “Xilt Holland” parent company. After returning to Israel, he was appointed head chef of Braaf Catering. In 2005 he studied at Thai Siam Kitchen School in Lemai Thailand. His philosophy: The desire to create, evolve and develop is embedded in man’s spirit and the ability to fulfil this depends on each one of us. In my work at Braaf Catering I fulfil this desire of mine every day, creating the perfect event for every couple, family or organization, according to their dream. Looking for a catering ? we will be happy to create you an unforgetable event.